Though chronic wasting disease (CWD) has made its way into neighbouring American states, it has still not been found in Ontario. The 2012 Ontario Chronic Wasting Disease Surveillance Program Progress Report noted 488 tested deer did not have the devastating and highly contagious, prion-based, brain disease which fatally affects members of the cervid family. Project Coordinator Tore Buchanan said the sampling of deer taken near London and Sarnia during fall hunts exceeded the target of 460 animals. Buchanan said CWD was discovered in Minnesota in 2002, New York in 2005, Michigan in 2008, and in Pennsylvania in 2012. It hasn’t been reported in New York since 2005, however, and there have been no recent reports in Michigan. 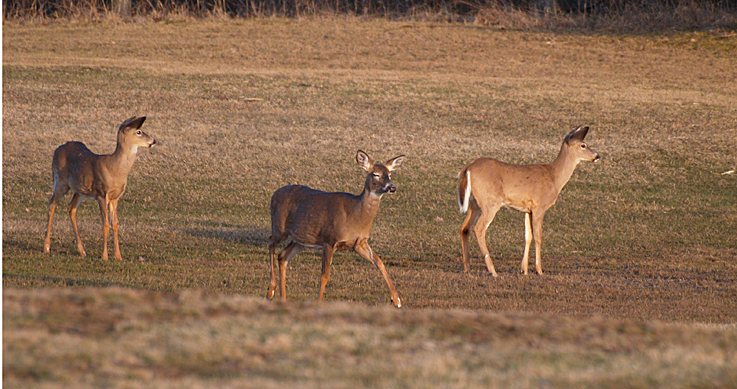 Two captive deer were found to have CWD in Pennsylvania in October 2012 and 3 wild deer, taken in the November 2012 hunt, were found to have it in March 2013. Buchanan noted that those deer were approximately 300 kilometres from the Ontario border. Since the CWD surveillance program began in 2002, 9,426 samples have tested negative. Areas for surveillance testing in Ontario, 2013, have yet to be determined. CWD was first discovered in Colorado in 1967.